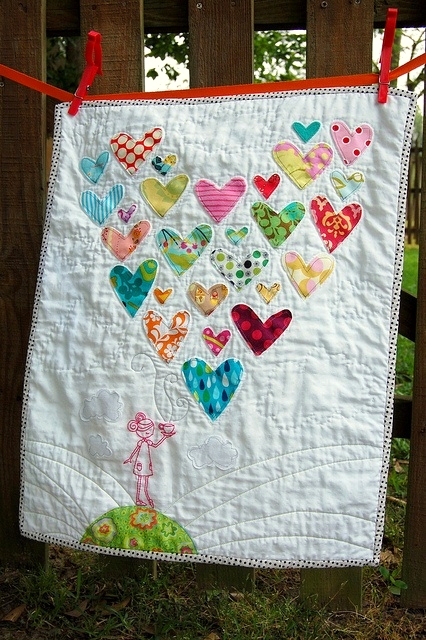 Second on my list of Valentine's Day-themed and love-inspired craft and upcycle projects is this Heart Quilt. But it's not just any old heart quilt - the patchwork hearts are all made from old baby clothes. (insert slow teardrop rolling down mom's cheek right about here)...sigh. I know that feeling for sure! And yes, I'll admit it, I did happen to stash away a special piece of my daughter's clothing here and there when packing up carloads of my daughters' outgrown old kids clothes to send to Goodwill. I remember the laughs from my two little girls as they played in my mother's backyard on a hot summer day, splashing in the kiddie pool or eating popsicles but getting most of it on their shirts...those were the days... and well, I tried to steal back as much as I could of them with my giveaway-clothes thievery. It's just a few pieces, and one day I will use them in something amazing...I told myself. And then this quilt came along. 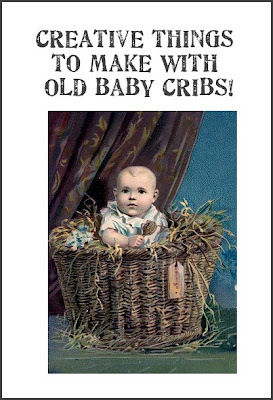 Made from old baby clothes. It's been a few years since I used my sewing machine, and many more since I made my last quilt, so I'm not very ready to just jump into the project—but it's the perfect idea to kind of tuck away in the back of my mind for another day. You did a lovely job and what a keepsake. 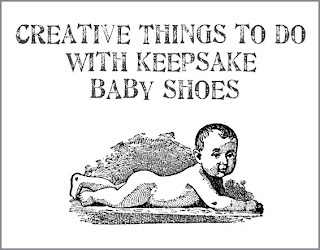 I remember how difficult it was to finally pack up the last of the baby clothing, since it meant a part of my life was over. How do you find the time, girl?